Offset printing is a method that uses a metal plate and rubber blanket to set ink upon a form of media. The ink is applied one color at a time where it sticks to specific areas. The printers are either sheet fed or web fed. Sheet fed is commonly used for shorter run jobs because it is fed a single sheet at a time. Web fed on the other hand is fed by a roll which provides extremely fast production. 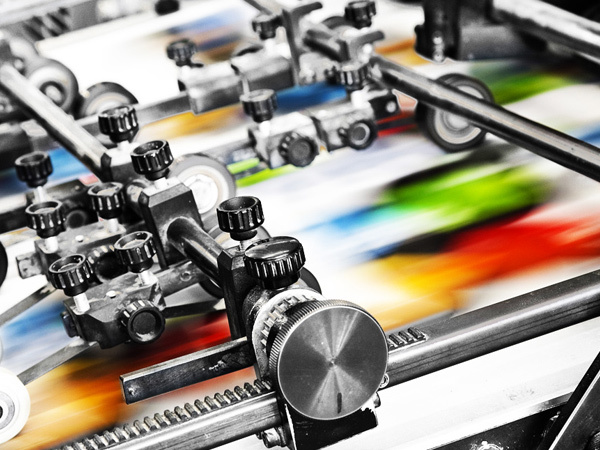 Offset printing is ideal for magazines, brochures, newspapers, books, and binders. Offset printing provides a consistent high quality image and is an option Sunrise Packaging offers for many of our products.